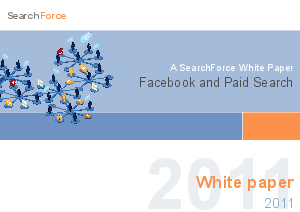 Offers > SearchForce > Facebook and Paid Search: 4 key Campaign Success drivers. Facebook and Paid Search: 4 key Campaign Success drivers With half a billion active users spending a total of 700 billion minutes on Facebook every day, advertisers and their agencies are focusing more attention on Facebook as a key component of online advertising. With an audience that clearly identifies its interests and demographics, search engine marketers are working harder than ever to incorporate Facebook into their strategic planning and execution - either on the Facebook platform directly or by leveraging third-party campaign management solutions.